Positive thoughts and outlook. Its great that you have embraced and immersed yourself things you are passionate about...things that keep you busy. Best wishes always! I'm glad you are being cautious. I feel sure he is lucky to know you. All the best. Keep smiling! So rightly said launna. I did the same too. Not once but twice. Now I'm in a happy place. Not dating for over 3 years and happy. This post is like a beautiful athem to ourselves. I know how fantastic is the feeling of being in love and being love back, but if we don't truly love and accept ourself, the breake up can break more then just our relationship, and we can spend monts wondering where did we go wrong. But if we're honest with ourselves and acept us the way we are, we can get our anything. Hope it works for you the best way possible, and even if it doesn't turn into anything more, I hope you in best way embrace this time of happiness. Love, and wish you another great week. I agree with you about posting on social media about relationships. That should be kept private in most cases, I think. And you're right, everyone deserves to be loved. This is so true and you have a life that is "pretty full with Valentina, work, exercise, blogging... the list is long" Cherish each day and it's memories and just see what happens. 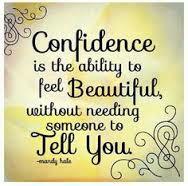 I like your attitude about being confident of yourself without anyone having to tell you how good you are. I like your plans too, about making memories. God bless Valentina and God bless you. Wonderful post, and something I really needed to read today, so many heartfelt thanks. Wanting to be loved for who we are is so important, and being able to love ourselves first is vital for that (and definitely not an easy thing to realize!). Hi Launna not sure if my past comment went through. I was basically saying I get annoyed people posting about their "wonderful relationships on Facebook when in reality their relationship is not what it's cracked up to be. I almost never post about my relationship. And you are right... love yourself first it's so important. I think that if we love ourselves first, we attract the kind of person who appreciates who we are and recognizes our worth. Have a great week! I understand you Launna. 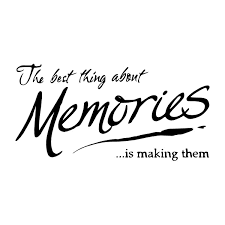 Memories are very important for our life. Have an adorable week LAunna. You deserve a special partner Launna and a big love story, because your are a special woman!!! I wish you all the best! Take care always, love Paola, xo. This is, again, so true! I love your posts; they always have so much intelligence in them! You deserve someone who will cherish you! You go girl! Keep your heart open, but don't settle. Absolutely not! Opps! I forgot. Love your new look here and your tagline! Good for you! I hope things work out with this guy, and if they do not I hope you find what you are looking for soon! We all deserve to have someone like that in our lives! No matter what....my motto....live with an open heart. Sure some people will hurt us but most won't. Hugs Launna and wishes for a great day out there. This is great Launna... I agree...you should have lots going on in your life to make sure your happiness is prioritized by things that make you who you are... and then a guy is added to the picture and he's his own little area of happiness in an entire sea of joy. Glad you are confident and realize this... the women who hang onto a man like nothing else matters in life are, simply put, pathetic. Making memories is very important dear Launna. It is important to make good memories, who will stay with you for the rest of your life. I am really curious about this guy Launna! Good girl. 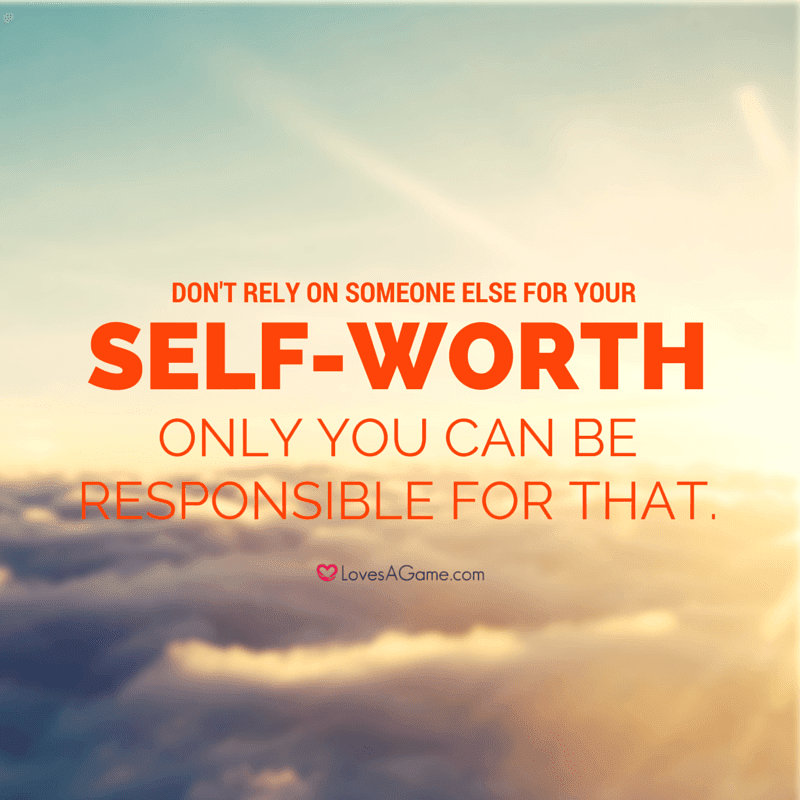 If we want someone else to value us, we have to value ourselves. I agree with what Susan above said, Launna. And ending a week on a positive note is always a rewarding feeling, even if the beginning seemed horrible. There is ALWAYS roon for love, ALWAYS :-) And I agree, you don't have to settle for anything less than perfect. I'm glad you are not settling for anything less. Have a great day. I love your attitude! You deserve the best and should settle for nothing less -- someone out there deserves the best, too and that will be you. Can't wait to hear more! I kind of understand you, dear Luanna. Almost all my friends are engaged, Marry or with a boyfriend and they look like the people you said: more, they're are kind worry for me cause I still are not engaged or have a boyfriend! Well, as you said, I'm totally happy and complete even without a boyfriendin my life: to get married it's definitely not my life's goal! I think a lot of that gushing of some peoples 'guys' is superficial. Sometimes you meet them then and think they just as a couple have as many flaws as anyone else! Nobody is perfect. I hope that gentleman is good to you, no matter where it ends. I loved it very much. Lovely post Launna! DEUS seja contigo por onde andares. Your'e definitely in a better place. It breaks my heart when I hear a woman talk about how unimportant they are. Every person is special, unique, valuable. We all just need to realize that. When I read you posts, I feel better, you give me hope and energy. Glad you are feeling better and loving yourself more. Finding happiness is my goal in life, and I have found it by doing things I enjoy to do. I don't get to do that everyday, but I appreciate them even more when I can. Thankfulness helps too, I have a thank you journal! I think that when you give thanks for what you have it helps you appreciate life even more. Have a great rest of the week Launna. This post is an inspiration. YOU are an inspiration. Ciao Launna, have a sweet day!!! I think you have a really good attitude when it comes to guys. Hi Launna! As soon as I read your comment on my blog I knew I HAD to come here ;) I'm SO happy for you, I understand this is still nothing serious as he still has to prove some things but the fact that you've met a nice guy who you can spend time with is amazing. I completely agree on this whole thing of "felling lucky because someone loves you" as we weren't worth enough to love so we have to feel literally lucky that someone dates us. It's a sad thought, really. Hi my lovely Launna. Oooh what a news. I'm so happy for you to have met someone :). I'm so happy for you too and really hoping he is the one who is looking for :)! Have someone special in life is kind of good medicine to me:) who you can laugh out loud with, got shoulder for you to lean on when you needs it too:). I'm praying for you to good life when I meditated :) yes I do, because I thinks you been though so much and you deserve a better life living like other women do too Launna. I hope and hope he is the one :). Please do you very best to show him you're real and worth for him to have you:). Wish you best of all with everything Launna. I miss you too. I will be able to blog as it as before soon. We just got back home from driving back to Atlanta last week to take care our business down there. Please do find a way to come visit me :) we live much of closer than I was in Atlanta. :) We may one day meet up our half way:). Happy friday my sweet friend!!! What an amazing statement of what you want. Way to go Launna. You inspire me. Happy Friday. Good for you, Launna! I have to admit though----I'm dying to hear more about this mysterious man! P.S. Launna, I've given you a special shout out and heartfelt thank you on my blog today! a very motivating post! love it! 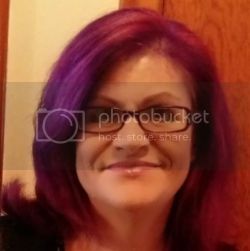 I just found your blog - what an inspiration! Hi Launna, You always say the most truthful and inspirational things. I agree with you that we should love ourselves and not depend on others to make us feel loved and be happy because of it. And that self-worth quote? I totally love that! You know, when you told me about dating someone and taking it slow, I was sooooooooo excited for you. Yes, take it slow and enjoy the process w/o holding expectations so that you would always be happy and not be disappointed should anything goes wrong. 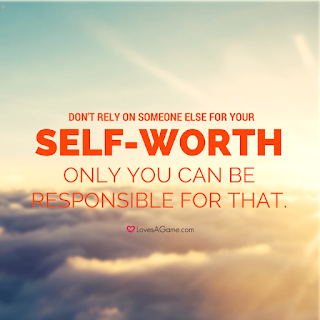 You deserve a really good man for your really good heart! I'm also busy with exercising and I love it. Working out could really get addictive but I see the difference and feel the difference. I love all the sore muscles and I feel more toned. I wish you all the best in your exercise regime. Oh yes, I've replied to your comments but I won't be pasting them here so do check back. Have a good weekend! Great post dear, thanks for sharing!!! I agree not over sharing. I'm glad we get to hear here tho and I hope things continue to go well. You deserve a partner and someone appreciates all you have to offer! !